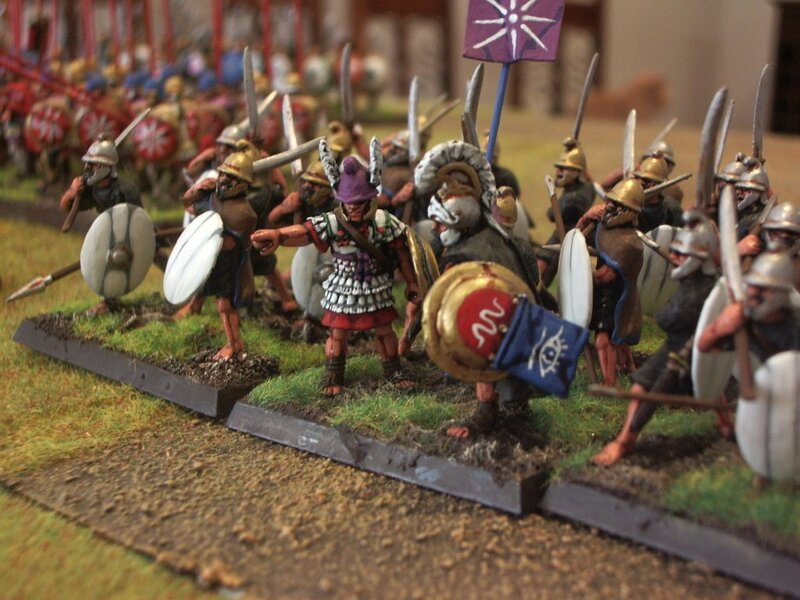 Two close up views of Gerry Webb designed Thracians fighting Black Tree Design mercenary Hoplites. 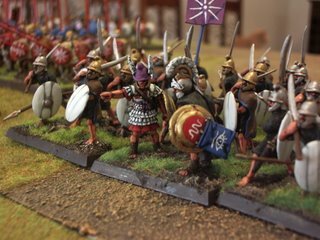 Gerry is thinking of expanding the Thracian range and with the upcoming Successor WAB supplement this would be a very welcome addition. 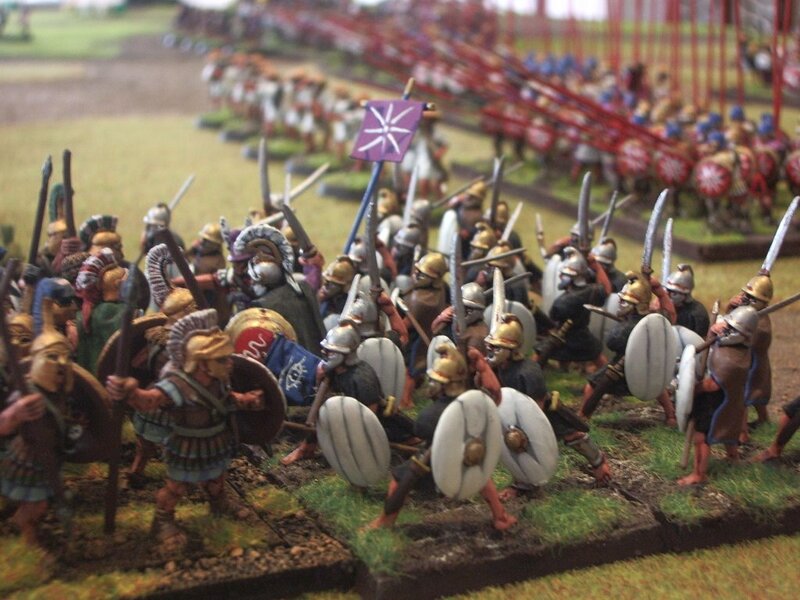 Early Thracian figures abound but there is a real need for Hellenistic period Thracians such as those displayed in the tombs recently discovered in the old Thracian areas. See Slingshot a few years ago for Duncan Head's nice and informative article on one of the latest tombs.